Hacienda is a premium resort located on the north coast of Egypt, about 150 km west of Alexandria. 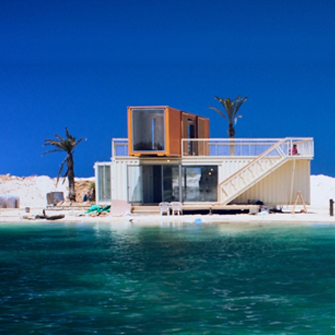 Directly on the beach, just a few meters from the sea, this container lounge is created. Since the lounge is only used in the summer and needs protection during winter from heavy storms, the rapid building up and removal was an important design criterion.